The Nagoya style sash which is good to the light scene that closes it, and is casual for a feeling. It is available for a long time without minding a sense of the seasons at a seat of the tea such as tea parties. The light scene にぴったりのなごや Zone which closes it, and is casual for a feeling. The length of the obi is shorter than double-woven obi and I make a one fold drum and close it. When geometry and the traditional crests used by the court and nobility are chosen, it is available for a long time without minding a season. In addition, the gorgeous obi which a lot of gilt thread is included in is not liked. ・At the "semiformal" places such as an entrance ceremony or the graduation ceremony, the obi of the type that I incorporated gilt thread in is recommended. ・All patterned sashes and six patterns are recommended toward the plump figure. When it is a drum pattern, the points of the previous pattern may not exit well. 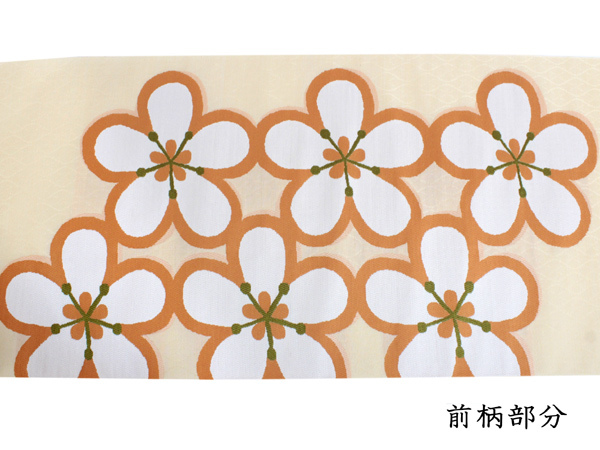 A collaboration zone with the Japanese oldest cotton cloth dealer [Eiraku shop]. ※This is a product made by non-tailor. I make sewing if I have you order it and send it. ▼The sewing of the service is made with the normal Nagoya style sash which I put a cotton core in. The special method including the difference sewing made by, please order an optional menu. 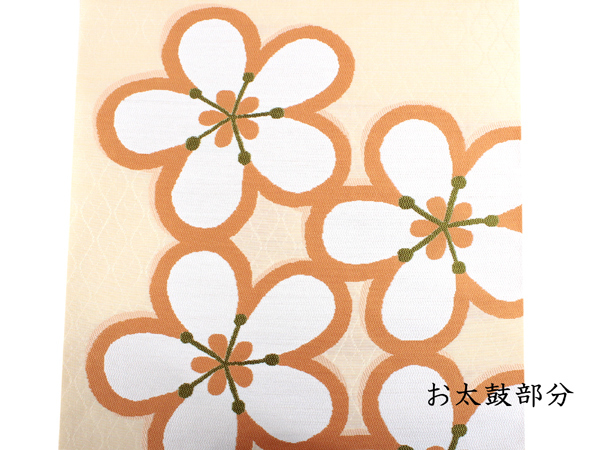 It is available to a lined kimono kimono (from October to April), an unlined clothes kimono (five or six and September) mainly. It is available for both lined kimono makeup and unlined clothes sewing (September). ※You can confirm an article before the sewing in form to have you bear the round-trip postage beforehand if you want. If you like, please choose "I hope" among the pull-down nearly the basket of the buying. In addition, please send back the article which had you confirm it by prepayment. ※As I cannot accept the return of goods after the sewing, thank you for your understanding beforehand. ◆It is available for a long time when I have you dry it in the shade for several hours to let you emit temperature and moisture after wearing. I can accept various processing including guard processing, the memory Jan processing, too. You put it in the shopping bag separately, and apply. The guard processing resists water and is processing to prevent a dirt. When there is guard processing, the outing of the rainy day is reliable, too. The memory Jan processing becomes the processing that shape-memory was added to for guard processing. I prevent getting out of shape. ▼Besides, I have a lot of Nagoya style sashes. ※I bring the image close to the amorous glances of the product, but an error may occur because of the environment such as monitors. ※As international shipment, the overseas shipment are out of the free shipping, approve it beforehand.